Aside from being capable of attracting the attention of people around you, eye-catching visors also have to be efficient and comfortable. They need to be made of fabrics that enable you to remain at ease all throughout the day. Some are made of materials that can wick sweat away, which is a benefit you ought to consider. For more information and to check out some of the popular visors available in today’s market, just take a look at the following selection. With its moisture-wicking technology and superior UV protection, this product should definitely make your list. Since it retains most of the sweat you’ll probably build up while exercising, it enables you to remain comfortable all throughout your workout session. You won’t have to bother with wiping sweat so that it doesn’t reach your eyes. Since the model is made of 100% nylon, it is breathable. 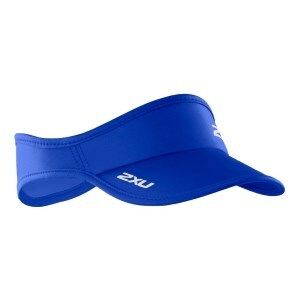 Whether you want to wear this visor at a sports game or you intend to use it to get back in shape, the fact is that it is convenient and even boasts an adjustable Velcro strap for a user-friendly fit. Compared to some of the other choices that we came across, this one is affordable and easy to use. It’s made from polyester, so it might not have the same sweat-wicking abilities as other nylon alternatives. Nonetheless, it does feature a sweatband that will allow you to remain comfy. Since it is outfitted with a black under-visor, you will be able to see the game or your path while jogging both efficiently and smoothly. This particular kind of under-visor is capable of reducing glare. Besides, it’s worth noting that unlike other options, this one doesn’t shrink even if you wash it in the washing machine. If you wish to make the most out of your workout sessions, and chances are that’s one of your goals, perhaps the SLS3 Run might be right up your alley. It comes in a universal size and has been fitted with an adjustable Velcro strap that can be found at the back. With this feature, you can make sure that the visor provides a snug fit. The product is capable of keeping your eyes protected from UV rays while you tend to your business. What’s more, the fabric it is made of can wick sweat away, thus allowing you to avoid wiping it off of your forehead time and again. This visor hat is unique when compared to some of the others we’ve showcased, and that’s because it is especially feminine. It’s soft and light, as well as breathable, but since it has been manufactured from cotton, we recommend treating it with care. It might not last as long as some of the other alternatives we stumbled upon while wrapping up our research. The neat thing about this choice, though, is that it really does provide good cover as the front part is considerably larger than that of its competitors. It’s supposed to have passed a UPF 50+ test. If you prefer natural options, the Wallaroo choice seems to have been made just for you. It is manufactured from 100% paper braid, so it is definitely environment-friendly. If you care about the environment and would like to get a chance to use reusable products, this visor is the right way of going about things. The item is practical, convenient, and packable and will fit you well enough considering that it comes with the typical Velcro strap at the back. Since most of those who have purchased the paper braid visor seem to have only good things to say about it, why not give it a go? The Bersun model is one of the lightest options in the line. Having been manufactured with 100% organic cotton, it’s another eco-friendly alternative. It needs to be washed by hand, though, so as to ensure that its durability is on par. Everyone knows that cotton isn’t the most rugged fabric ever to have been invented. With its neat-looking design and convenient features, this visor cap can make a great gift for anyone who spends a lot of their time in the sun. It’s also worth noting that it is budget-friendly and won’t have you breaking the bank. 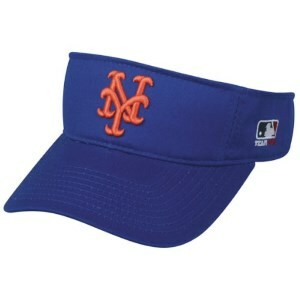 If you’re a Mets fan, you sure have to check out this visor. This company specializes in manufacturing hats and visors for a variety of teams and states, so you can conveniently pick the one you prefer. If you don’t look all that good in a fitted ball cap, this choice might be the right option for you. Given that the majority of the individuals who have decided to go for the MLB alternative are quick to praise its features, we say that it might be worth investing in. Handwash it, if you can, so as to increase its life. Summer is just around the corner and it is time to toss the warm clothes away and say hello to bikinis, t-shirts and tiny beach dresses. And although everyone wants to have a beautiful tan and spend as much time enjoying the sun and its warm rays, keeping your body safe should be a priority. Now we all know about the harmful effects of exposing our skins to the sun but most of the times seem to forget that our heads need protection too. It is not enough to walk around with SPF 50 creams on your face if your head is exposed to extreme heat for several hours at a time. As such, you should definitely consider including in your summer wardrobe a wide array of sun hats and visors which will protect your head and hair from excessive sunlight. However, the broad variety of available options might make your decision a bit more difficult, especially if you don’t have the necessary time to go through numerous shops in the search for the perfect hat, fedora or visor. We have created a comprehensive buying guide to help you make the perfect decision for the summer. Check it out below. 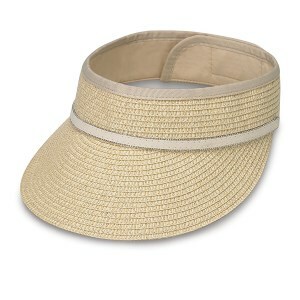 Visors are very fashionable right now and are suitable for both men and women. However, if you want to make sure you made the right choice, you need to bear in mind some of these aspects. Visors can be successfully integrated into fashionable outfits throughout the day but they can also be the elements destroying a perfectly good outfit if chosen wrong. Therefore, the first thing you need to take into account when shopping for a sun visor is the size of your head. You need the fitting to be perfect not only to cover you up from the sun but also to sit steadily no matter how fast you move. There are different ways to find the perfect size for your visor, out of which the easiest one is to try on as many as possible. However, if you don’t have the time to do so you can also measure out the circumference of your head and then see just which size of visors will suit you in the future. Just make sure to read the tags carefully before shopping for any item if you don’t want to return the product later on. Most of the customers who choose to be protected against the sun with a visor have very active lifestyles; therefore, they will need a steady, comfortable and reliable item. Perspiration is an integrated part of any active lifestyle, no matter the physical activity you undergo. Thus, the absorbing capabilities of the visors must be high in order for the product to qualify. We advise you to opt for products with side panels and bands made from absorbing materials to prevent sweat coming down your face. There are numerous sports brand companies already designing great sun visors with integrated super absorbent technologies so we suggest you take a look at their websites to find the model which will best suit you and your physical activities. As for the fabrics used, we will always opt for cotton-based products for all the obvious reasons. First of all, these visors are super absorbent and will help to keep you dry the entire day, even if you’re out there sweating on the tennis court. Secondly, cotton visors are extremely comfortable and easy to wear as they are soft, meaning won’t cause discomfort or scratches. Thirdly, there is a wide array of available options on the market, thus finding the perfect pair for you is only a matter of personal taste. On the other hand, although plexiglass and plasticated visors seem fashionable enough, we suggest you avoid using them over prolonged periods of time. They may look good on you but the transparent plastic will reflect the light and won’t protect your eyes but might even hurt them in time. Moreover, plastic is not an absorbent material so you may end up sweating as much as before while using these. 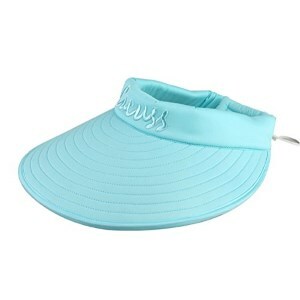 Last but not least, finding the perfect sun visors is only a click away in the Internet. There are thousands of available options to choose from, thus it is only a matter of perspective and personal tastes. 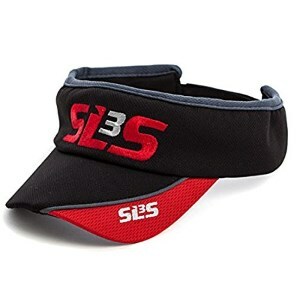 We suggest you look at your own personal style when shopping for visors. 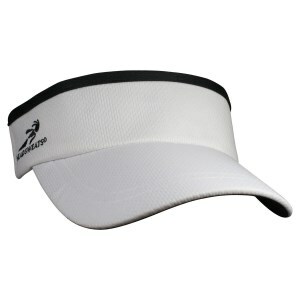 You should avoid purchasing any white cotton, clear and classic visors for a series of reasons. First of all, they are very plain and won’t up the game of any of your sports outfits, no matter how much you try. Secondly, white is a quite difficult color to wear and match, not to mention that it gets dirty easily and all the sweat marks may prevent you from using the product more than once before having to wash it. On the contrary, we suggest you opt for vibrant, colorful choices, with bold patterns and designs which will certainly make your outfit stand. The most popular sports brands came out with their own bold collections of visors for this year, so finding a suitable model shouldn’t be hard. If you really want to be trendy this year, we suggest a camo print and vibrant colors such as pink, violet or yellow. We already agreed on the need of choosing comfortable, soft and organic visors made from the purest cotton. We strongly suggest you purchase at least one visor made out of cotton, but why not look for less conventional fabrics to make a fashion statement? A sewn braid visor will certainly make you stand out from the crowd and the neat thing about it is that it can be easily integrated into numerous outfits, whether sporty or more classic and chic. A breathable fabric will provide perfect coverage for your eyes while allowing your skin to breathe. 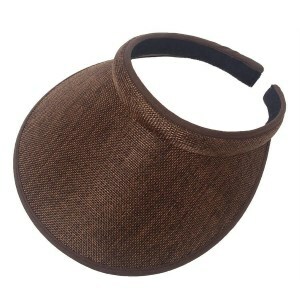 The woven visor of this kind of product features adjustable hook-and-loop straps for easy and comfortable wearing all day long. You can also opt for various colors if natural and cream shades are not according to your style. Neoprene sun visors are quite unusual yet extremely effective so they must be worth a try, even if just for fun.